Monday marks a year since a gunman killed 49 people and injured 53 others inside the Pulse nightclub in Orlando, Fla. 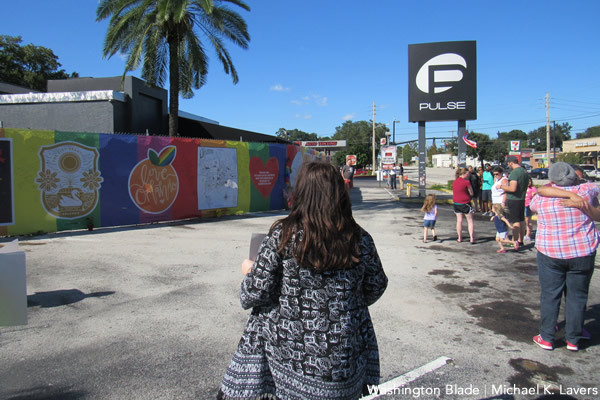 The gunman opened fire inside Pulse shortly after 2 a.m. on June 12, 2016. The massacre, which took place during the gay club’s weekly Latino night, is the deadliest mass shooting in modern U.S. history. Orange County Mayor Teresa Jacobs and others will attend a memorial at the Orange County Administration Center on Monday at 10:30 a.m. A ceremony to honor the massacre’s victims and those who survived it is scheduled to begin at Pulse at 11 a.m.
Olga Tañón, a Grammy-award winning Puerto Rican singer, and Sisaundra Lewis, a semi-finalist on the sixth season of “The Voice,” are among those who are slated to perform at the “Orlando Love — Remembering Our Angels” tribute that will take place at the Lake Eola Amphitheater at 7 p.m. A second gathering will take place at Pulse at 10 p.m. The University of Central Florida will also pay tribute to the Pulse victims on Monday. Churches and community organizations in Orlando and through and Central Florida are scheduled to hold their own vigils and memorials. Nearly half of the 49 people who died inside Pulse were LGBT Puerto Ricans. 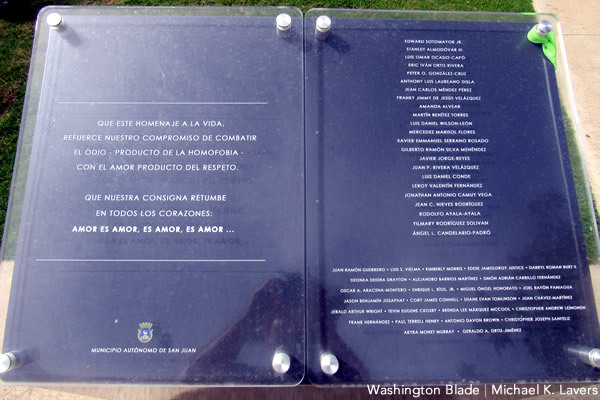 A memorial to the Puerto Rican victims is scheduled to take place in San Juan on June 22. 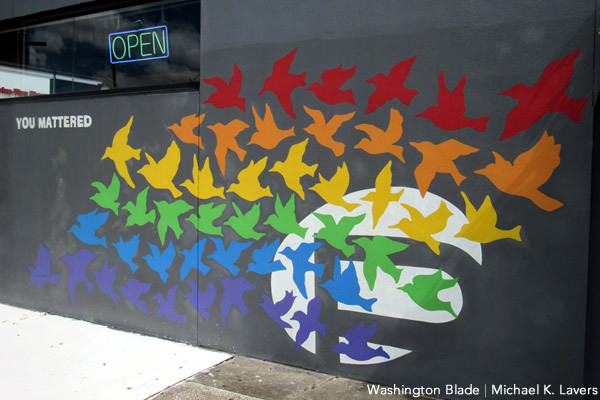 The Hispanic Federation and Proyecto Somos Orlando on June 13 are scheduled to hold a meeting in Orlando that will focus on how the Latino LGBT community continues to recover from the massacre. 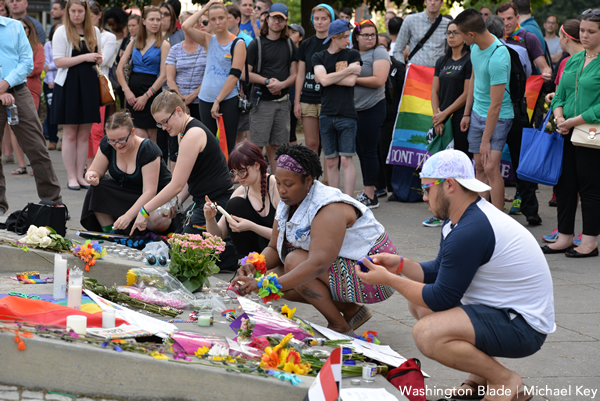 A candlelight vigil to honor the massacre victims is scheduled to take place in Dupont Circle on June 12 at 7 p.m. The Pride Fund to End Gun Violence — which formed in response to Pulse — held an event at Town Danceboutique on Wednesday. The Human Rights Campaign and Equality Florida are among the dozens of LGBT advocacy groups who backed gun control efforts in the wake of the massacre. 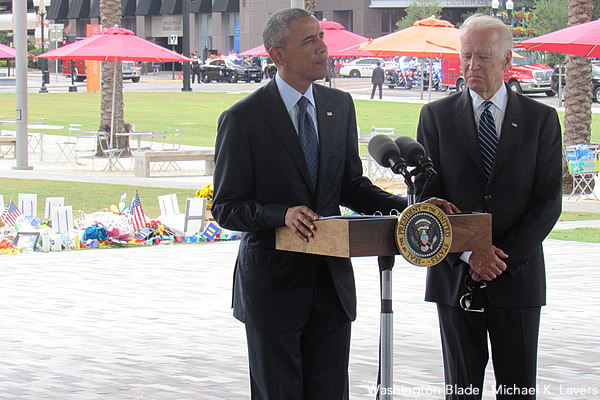 Then-President Obama reiterated his calls for gun control after he and then-Vice President Biden traveled to Orlando in the days after the massacre and visited a makeshift memorial to the Pulse victims in downtown Orlando. Then-candidate Donald Trump reiterated his call to temporarily ban Muslims from entering the U.S. The gunman, who was born in New York City to Afghan parents and lived in Port St. Lucie, Fla., with his wife, pledged his allegiance to the so-called Islamic State in a 911 call he made from inside the nightclub. There is no evidence to suggest ISIS prompted him to carry out the massacre. 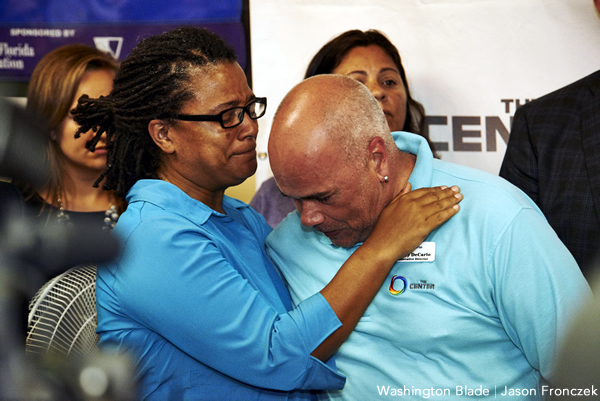 “In the days that followed the Pulse massacre, shock and disbelief turned to grief and anger,” said Equality Florida CEO Nadine Smith. Editor’s note: Michael K. Lavers will be reporting from Orlando, Fla., from June 11-13.